Last November Scotland Yard announced it was investigating a second sexual assault allegation against Kevin Spacey. Now, they’re reportedly investigating a third claim against the actor filed in December. Scotland Yard says they received an allegation that a man was sexually assaulted by Spacey in 2005 in Central London, Variety reports. Officers from the Child Abuse and Sexual Offences Command are currently investigating the claim. The new claim follows two other investigations into assault claims against Spacey, one of which happened in 2005 and the other in 2008. Both occurred in Lambeth, where Spacey lived and where the Old Vic is located. 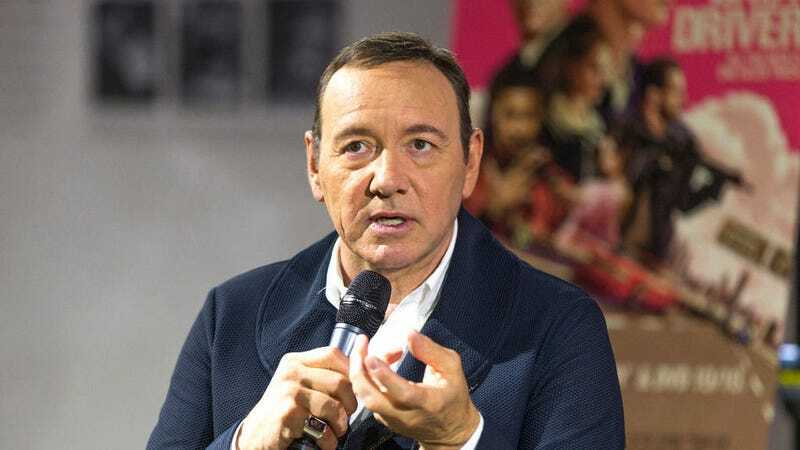 Spacey served as the artistic director of the Old Vic theater from 2004 to 2015, where 20 allegations of inappropriate conduct from Spacey were reported. Allegations of sexual misconduct and assault against Spacey first emerged in October after actor Anthony Rapp came forward describing how Spacey made sexual advances towards him when he was just 14. Allegations from other men followed, as well as reports from the House of Cards set that he assaulted and harassed young staff members working on the show.